The instagram account “BarbieSavior” is less than three months old but has already garnered a 95k following and been reported on in the BBC, Huffington Post and The Guardian. 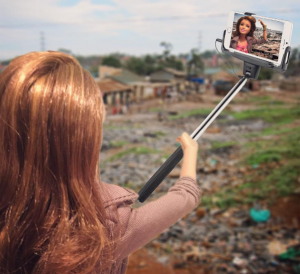 “BarbieSavior” is a satire account poking fun at the naïve “white-rescue” attitude of young volunteers traveling to Africa or other less-developed regions. In the tradition of good satire, it is funny, while calling out contradictions and problems with voluntourism. Yet, there is the danger with satire that instead of having an impact of change, the object of the satire becomes only an object of ridicule. Those laughing become self-congratulatory and the dialogue doesn’t move forward. So how do we have change? Here are some tips on how to not become a “White-Savior Barbie”. Research before you go: Research research research! There are many options out there to do good in a way that is collaborative, sustainable, and mutually beneficial. Choose a program that is dedicated to quality and will discuss concerns about sustainability and partnership. Consider organizations that have gone through a vetting process and are committed to standards like those who are part of International Volunteer Programs Association. Talk to former volunteers and learn as much as you can before you go. If the project involves vulnerable youth or medical interventions, consider the organizations and your own qualifications. Educate yourself on the ethical issues surrounding volunteer projects and make sure you are choosing a project that aligns well with your values. Realize you are not going to save the world. While it is honorable to want to have a lasting impact, consider the complicated and complex issues surrounding poverty, social justice, and global health. Consider your own experience and qualifications and realize that volunteering abroad may just be the beginning of your journey. 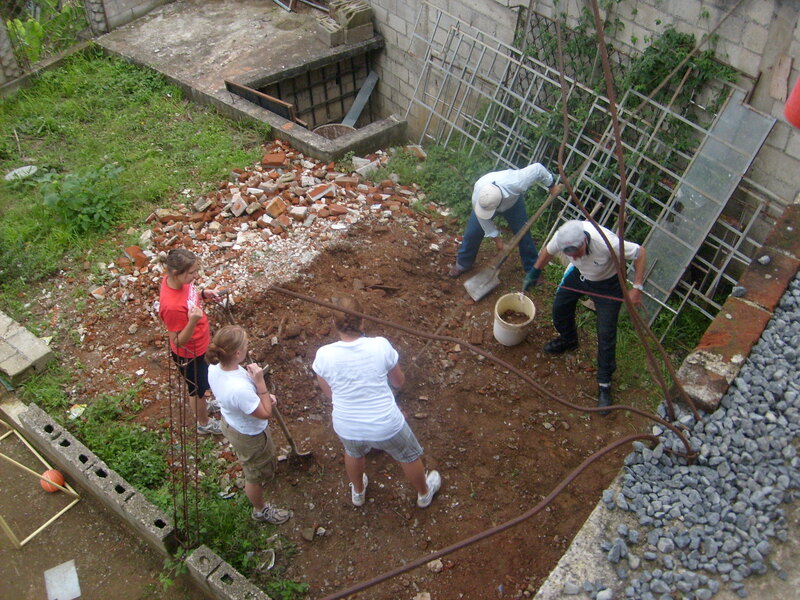 Volunteering abroad is a thought provoking, challenging and stimulating experience. For teens, the experience provides a new perspective on life, allowing them to perform activities in a new culture, with meaning and value. Volunteering abroad can give a teen the opportunity to shadow people in different professions, gain insight to diverse cultures and have a life-changing experience. According to Simone A. Bernstein, Co-Founder and President of VolunteenNation.org, students need to volunteer abroad in order to gain skills that will help them succeed in their future. For example, Shannon McNamara, began volunteering at age fifteen in Tanzania, and thus far, has donated 33,000 children’s books to girls in Africa. Her work has impacted more than 8,000 students and teachers in Africa, and has earned her numerous awards and recognitions. Who should I email/contact in your organization to obtain more information about the volunteer program? Do you have any counselors at the volunteer site? If so, whom are they licensed by? What will my child be doing in the community? What are the expected tasks that my child will have to perform? Is my child responsible for planning their own meals, travels and any other logistics? I am concerned about my child’s safety. What policies are in place to assure that my child is safe? Where and with whom will my child be residing? There are some great opportunities to find out more about volunteering internationally. This post highlights one of IVPA’s members upcoming webinars. More info opportunities to come! CFHI Staff will be conducting live CFHI Program Information Webinars on Thursday January 19th at 1pm Pacific/ 4pm Eastern, and Wednesday January 25th at 5pm Pacific/ 8pm Eastern. Child Family Health International (CFHI) offers socially responsible Global Health Education Programs for health sciences students of all levels. Through CFHI participants go on 4-16 week placements alongside local doctors in underserved communities. Participants rotate through local clinics and hospitals, attend medical lectures, and become immersed in the healthcare system of the community. New Years is a time to reflect on the past but also look to the future and make goals. Making New Year’s resolutions often get’s mocked for how quickly resolutions are broken but I welcome the idea of a fresh start. The new year brings a clean slate and the opportunity to ponder what we want to accomplish and ultimately the type of person we want to be. How long can you be away? Is a week more realistic or would you like to spend a month or more abroad? There are opportunities for all different time frames. The longer you are in a location will of course deepen your experience but even with just a week you can have an amazing experience, build cross-cultural bridges and help with the sustainability of a local project. Do you have an special skills? Often if you have training or background in a certain field or profession you can find opportunities to use those skills on a project. Do your research before you go. Research the country you will be traveling to so you better understanding of the culture, history and political environment. You will also want to research the organization you choose to go with. Besides just looking at on organization’s website, you should also call up to talk to a representative, ask to talk to a past volunteer, and ask questions about how long they’ve been operating, how they make their local partners and what is included in the program fee. Other ideas of questions here. International Volunteer Programs Association (IVPA) is also a resource for those interested in volunteering since our member organizations all run their own programs (meaning they are not just a placement agency), meet the IVPA Principles and Standards and have been through a rigorous application process. What’s it Really Like to Volunteer Abroad? If you’ve never been abroad to volunteer, you may be wondering what it is like and the truth is no one volunteer experience is the same. But reading through volunteer stories, first hand descriptions of volunteers’ own experiences can be enlightening. I’ve compiled a list of out IVPA members’ blogs where they feature volunteer accounts or other news about their programs. Global Service Corps I love the photography of GSC’s blog! Cross-Cultural Solutions A whole list of individual CCS volunteer blogs! I think everyone can have a life changing experience but, like Theresa, volunteers need to find the right fit and follow what “calls” to them. When you hear about people going abroad to volunteer you might imagine a 20-something-year-old taking a semester or summer to give service. Statistically young people (15-24 year old) are more likely to volunteer but people 55 years old or older are also a significant portion of volunteers that go abroad. Mature volunteers have a lot to contribute. A lifetime of experience and knowledge and a desire to give back make older travelers committed voluntourists. So what opportunities are there for more mature volunteers? There are so many opportunities it is helpful to narrow down your interests before beginning your search. Is there a certain type of service that interests you? What about certain countries you would like to travel to? Some organizations, like Amigos de las Americas focus on a specific geographic region but many organization have locations throughout the world. Cross Cultural Solutions, Projects Abroad and ProWorld all offer a variety of service opportunities in Africa, Asia, Europe and Latin America. How long would you like to be away? There are a range of option for length of stay from one week to a year or more. Globe Aware is an organization that offers 1-week programs perfect for looking for a volunteer vacation. Many organization have a range for option and can also customize opportunities to fit your needs.